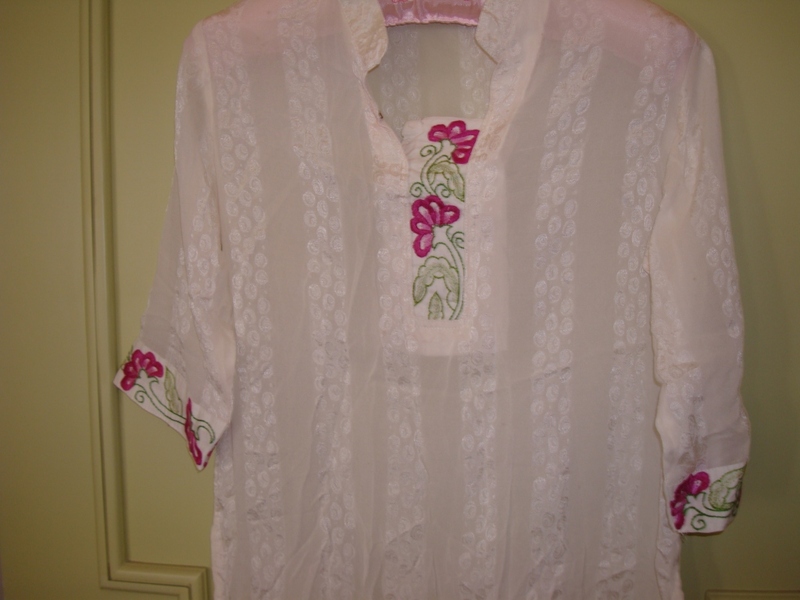 The tunic material is white georgette with self design. The embroidery is done in white too. After drawing the pattern, the yoke and sleeves were attached to the tunic [by tailor, ofcourse]. Then , I started the embroidery. I used only two colours, and the embroidery itself was quite simple with – padded buttonhole, straight stitches for flowers, and stem and fly stitches for leaves. 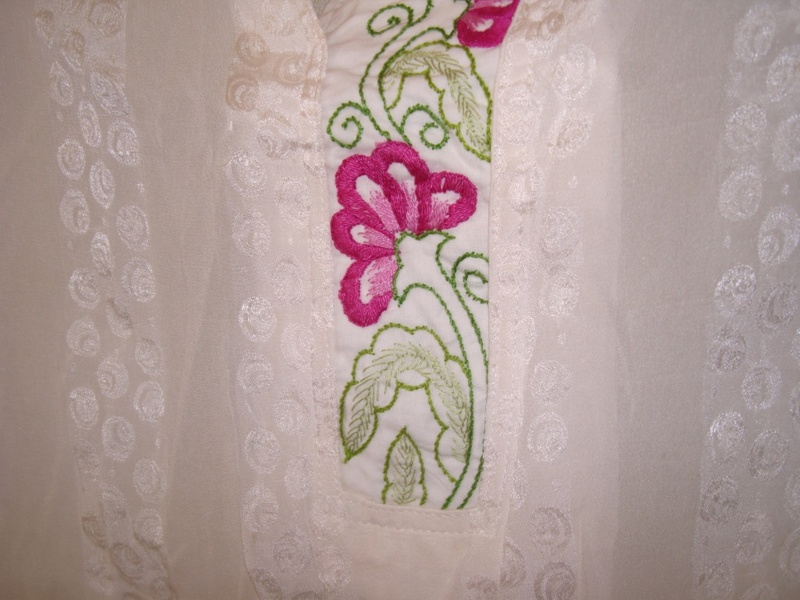 The other details of the embroidery are quite subdued ,to enhance the look of the flowers.